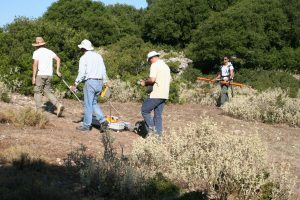 Advanced geophysical survey techniques have been used to meet the initial challenge of demonstrating that Paliki was a separate island at the time of Odysseus. They include airborne, marine and ground-based surveys, including electro-magnetic (EM), surface resistivity and Ground Penetrating Radar as well as drilling boreholes and coring. Future archaeological research will be conducted in close collaboration with the Greek authorities. 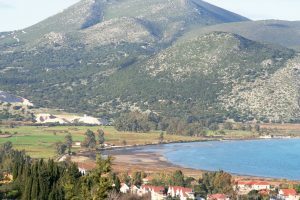 We have made tremendous positive progress that means we are confident that a marine channel did once separate Paliki from the rest of Kefalonia. The research has given us a compelling understanding of how that channel has been filled in over time by landslides triggered by earthquakes and other major tectonic activity. For more details, see our latest Research Results. 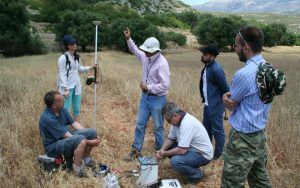 We plan to conduct cosmogenic dating analysis on some exposed faults to determine if the land movements occurred between the Late Mycenaean era and more recent times. We will also examine an area where rock fall appears to have covered ancient walls as this may provide another way to date the event. 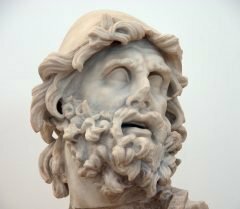 If these tests demonstrate motion has taken place in the past 3,000 years, they would strongly support the theory that the channel was closed by seismic activity after the time of Odysseus. We plan to conduct onshore and offshore scientific work, including field mapping, core-drilling and bio-stratigraphy, to identify where the potential marine channel exited into the Gulf of Livadi and the nature of its infill. 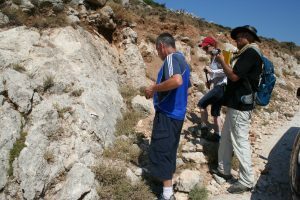 We plan further research in Livadi marsh to enhance our picture of the underlying geology and to assess whether it was the site of an ancient harbour, as some of our earlier research has suggested. We will also be looking for and seeking to date residual sediments from tsunamis that might have been generated by seismic activity as well as the occurrence any carbonaceous deposits suitable for radiocarbon dating. We plan to continue our programme of non-intrusive sub-surface research using standard geophysical methods to identify evidence of possible anthropogenic remains that would merit exploration via archaeology at a later date. All our work will be in close consultation with the Greek authorities and with the requisite permits. We are actively seeking sponsorship and donor support for these activities. Find out more. Read more about our past research programme. None of our research would have been possible with the generous support of our worldwide collaborators.